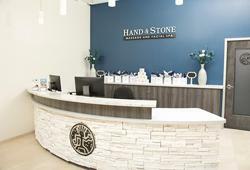 Hand & Stone offers expert massage, facial and hair removal services seven days a week for your convenience. Our Massage Therapists and Estheticians will be delighted to customize any of our services to meet your specific needs. Choose from: Swedish, Deep Tissue, Trigger Point, Sports, Prenatal, Couples Massage and more. Hand & Stone offers complete professional, convenient and affordable face and body hair removal services for women and men. All services provided by licensed estheticians using our botanically based wax-free system. Performed by our licensed estheticians, our facials are designed to improve the health and appearance of your skin and deliver powerful, results-driven benefits, resulting in a smooth, youthful, radiant appearance. Request one of our Spa Associates to contact you, or call 904-469-0613.